Over the past decade, solar power has evidently become the trend of renewable energy. Kiwi homeowners around New Zealand are now installing solar panels in their homes, allowing them to harness the power of the sun’s energy to power their homes. For those who haven’t heard of it, solar power is a clean, green source of energy. Solar energy is produced from the sun and then converted into energy we can use. It’s free, and widely used around the world for a variety of purposes for both home and business owners. The price of solar energy in New Zealand is falling, allowing more and more Kiwis to snap up solar panels and take full advantage of the sun’s free energy source. Although an initial investment is required to have the panels installed on your property, you can reap massive savings on your power in the long run. Solar energy provides its users with a huge range of benefits; so it’s easy to see why Kiwis are contacting their power providers and informing them they’re moving to solar energy! Let’s take a deeper look into solar energy and the many benefits it can provide for your property. With solar energy, the sunlight hits your solar panels and converts it into usable energy for your home. When you run your heating or plugged-in devices, you’re using the free energy that your panels generated. If you need more power than what your panels are generating, you can seamlessly draw from the utility grid. As a clean green source of energy, you can feel great knowing that you’re reducing your carbon footprint when you use solar energy. Solar energy does not release any greenhouse gases, therefore is a great way to contribute to a sustainable future. Aside from needing a source of clean water, solar panels don’t require any other resources - making it both safe and environmentally friendly. As your solar panels are connected to the grid, you don’t have to worry about losing any free power that you generate. Any excess power that you generate is simply stored in the grid, which you can either use later on or even choose to sell back to your local power provider in exchange for account credit. The sun can provide us with more energy than we could ever use, and it can’t be monopolised. Solar energy utilises the sun’s rays - a completely free power source. Solar power will allow you to start saving money from the moment your solar panels are installed - however, the savings you’ll reap from solar panels are best visible in the long term. Your location is actually one of the main factors determining how efficient your solar power will be. Different locations across the country will obviously get different amounts of sunlight; and the efficiency of solar power drops dramatically the further you get from the equator. Without a steady absorption of sunlight, you may be relying on the utility grid to ensure you’re getting enough energy to power your home. Although you’ll get to enjoy savings off your monthly power bill in the long run, solar panels come with a high initial installation cost. The cost to have solar panels installed in your property can be anywhere from $10,000 upwards, making it a hefty initial investment. Keep in mind though, that over time, your investment will surely pay for itself with all the free energy sourced. Otherwise, you can check out the latest power deals to see if you can save money simply by changing providers. As solar energy relies solely on the sun, electricity cannot be generated during the night. This means you’ll either have to store excess energy during the day, or connect to your local utility grid for an alternative power source. Clouds and storms can also restrict the amount of energy produced by blocking the sunrays. 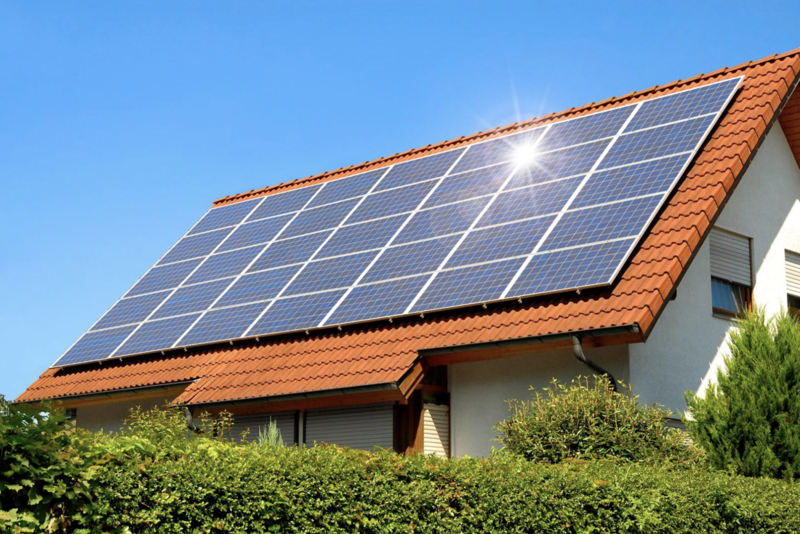 Solar energy panels are a great investment to any property, but not if you’re about to move! There’s no point in forking out tens of thousands of dollars on a new solar panel system if you have any intention of moving in the near future. Ideally, solar panels should be installed on homes or businesses where Kiwis plan on staying/living at for a long time. There are over 20,000 homes in New Zealand that are using solar energy to power their homes. Although this accounts for less than 1% of the country’s total power generation, the rate of this is increasing over time. It goes to show that more and more Kiwis are finding that solar panels are ideal for their properties. Can you afford the initial investment? Although harvesting free energy from the sun will cut costs on your monthly power bill, the initial set up will cost several thousand dollars. If you’re unable to afford this, solar power may not be the right decision for you. Is your property suitable for solar panels? In order to get the most sunlight, solar panels should be facing north as much as possible. Panels that face the other direction will work, however product much less energy. Ideally, there should be no shading of the panels from hills, trees and surrounding properties. As solar panels can last for up to 25 years, it’s important that your roof will last this long too! Are you wanting a more environmentally friendly lifestyle? If you’re concerned for our environment and the greenhouse gas emissions you may be contributing to, solar energy is an ideal option. The uprise of solar energy has already helped New Zealand on its way to a cleaner, more green country. Do you have an electric hot water system? Solar partners well with homes that heat their water using electricity, as this can account for up to 30% of your electricity bill. Due to the fact that solar panel installation involves working with tools and equipment that can produce several hundreds volts of electricity, it’s essential that your solar panels are installed by a professional. When searching for your solar installation company, be sure to look up reviews and testimonials from previous customers. As each and every property is different, a certified solar installer will need to come and access your property, to ensure that its suitable for installation. During this site evaluation, your installer will work with you to help design a custom made solar energy system that suits your energy needs. Your solar panel system will need to be approved by the council; once this is done, your installer will begin set up of the panels, inverter and system monitor. It takes roughly 1-2 days for a new solar panel system to be installed, however once again this varies depending on the exact requirements of your property. Given that you’ve chosen a reputable solar installer, they will guide you through the process and keep you in the loop throughout. Once installed, you’ll be able to reap the benefits of your new solar panels straight away. There isn’t a lot of maintenance required with the panels, just be sure to get them checked by a licenced electrician on a yearly basis. With good sunshine hours in New Zealand - particularly in sunny Nelson and Marlborough - solar power works well across the country. If you’re ready to make the investment, start saving on your monthly power bill and contribute towards a cleaner, more green environment, now is the time to go solar. Join the tens of thousands of Kiwis already using solar power today!